1. 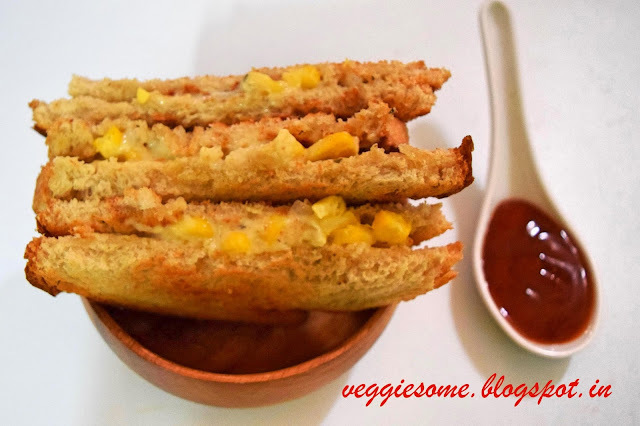 Heat butter/ghee in a non-stick pan. 2. When the butter starts to melt, add onions and fry till translucent. 3. 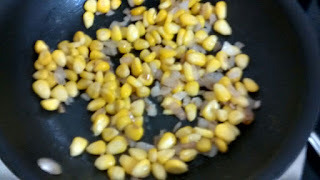 Add boiled corn to the onions. 4. 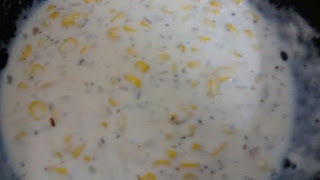 Take cornflour and mix it thoroughly with milk. 5. 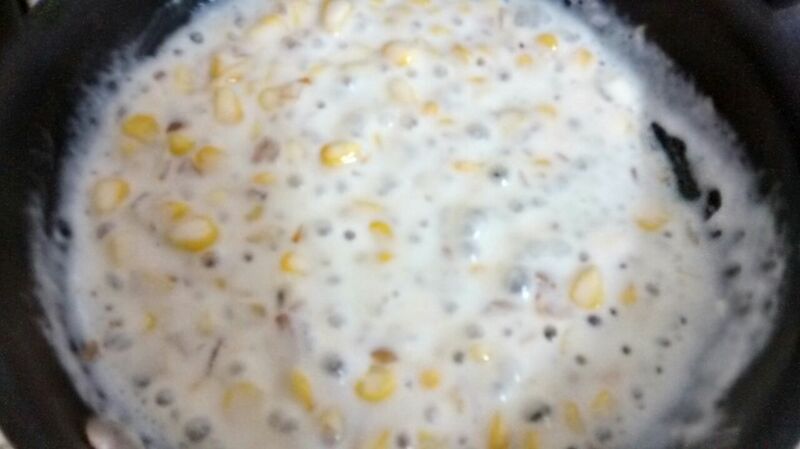 Add the cornflour mixture to the pan. 6. Keep stirring till it begins to thicken. 7. 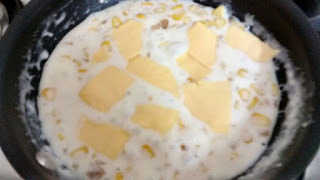 Add the cheese slice or grated cheese. 8. Mix thoroughly till cheese melts. 9. 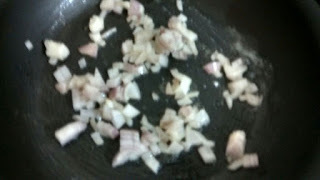 Add salt, dried mixed herbs and switch off gas. 10. Toast the whole wheat bread slices with oil/butter/ghee. 11. Spread the filling on one side and cover with another slice of bread. 1. 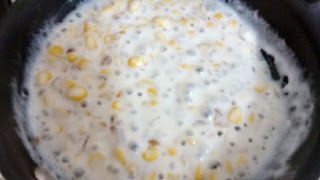 The filling should not be too runny. 2. As cheese already has salt, be careful with the amount of salt you add.